The advent of spring means that public relations people are devising creative ways to put a fresh spin on program activities as well as spruce up client relationships. Here we take a look at some ways to maximize spring with some PR inspiration. Ideally, the PR team handling your account is doing this on a regular basis (90 to 120 days or more often), but once the New Year’s rush is over, the second quarter offers an opportunity to review and refresh. Now is an excellent time to review marketing plans and brand goals to make appropriate tweaks. Brands should review creative strategies, new product updates and budgets to ensure the current investment is appropriate to reach PR goals. And, for those who haven’t yet hired an external firm, now may be a good time to interview firms and take the plunge to professionalize your PR. Every season has its appropriate themed pitches, like holiday in December, back-to-school in fall, and so on. Top PR strategists have likely calenderized spring story ideas so that long-lead media pitches are distant memory. But, these days there are more short-lead opportunities than ever in digital media, and smart teams need to know whom to pitch what. These include the obvious seasonal story ideas, from spring cleaning your software to warm-weather travel ideas. But the truly imaginative will dig deeper for ways to leverage pop culture moments or one-time events. 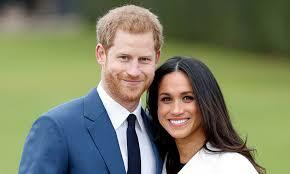 The next Royal Wedding may not seem relevant at first blush, but maybe your brand can offer a point of view on the spectacle. Fashion trend insights? Special event or entertaining tips? Or maybe a commentary on millennials for a B2B brand – the possibilities are numerous. Creative PR teams are constantly on the lookout for newsjacking opportunities. Does your brand have a dedicated social media plan? If so, now is a good time to review it for content strategy, timing, and something that doesn’t always occur to marketing teams – access to the best images. Fresh, compelling images can make or break an Instagram or blog post. Now may be the time to upgrade your stock photo resource or even invest in your own hi-res photography. Spring is also a good time to review the content management process and tighten your security protocols. Departed staff members may still be listed as administrators, passwords are freely shared, or dormant accounts may be threatening your brand image. Make your social media content work hard to reflect the brand and spark conversation. Summer interns are already pounding the pavement looking for interesting work. For brands that don’t yet have a formal internship program, now is the time to create one. Modeled after a company’s employment program, such a plan should include job descriptions and expectations, the kind of talent you are seeking, what schools provide the top interns that mesh with the brand’s needs and what kind of scheduling works. It may be very appealing to bring on five bright young things, only to realize that there aren’t enough mentors to train and supervise that large of a group. Best to assign an intern manager early on to analyze needs, draft the plan and oversee the interviewing and hiring process. For many, there is comfort in the familiar. This can mean a certain reliance on the way PR results are calculated and reported to brand marketing teams. But with PR spend expected to grow over the next five years, emphasis on ROI will increase as well. Now is a good time to review some of the newer techniques and products available and recommended for securing analytics. Start by determining what you are most interested in learning: Are you seeking to quantify buzz? Properly attribute revenue? Know which tactics are working best? For many, it will be all of the above. So check out new tools. For example, look to a PR firm to identify top outlets and influencers, social amplification trends, and programs that fill the funnel or measure business impact. By prioritizing analytics, the PR team can customize a brand reporting program that offers benefits that last well beyond spring.